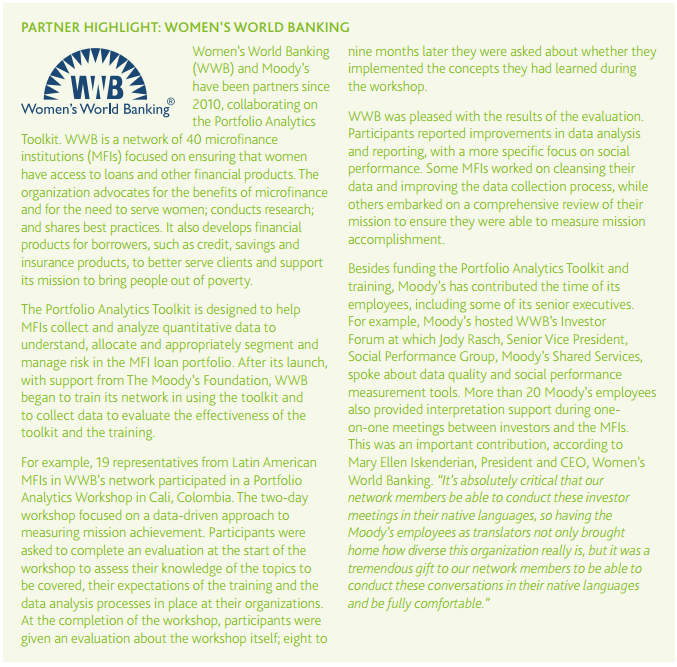 Women’s World Banking is proud to announce that the Portfolio Analytics Toolkit was featured in the company’s 2012 Corporate Social Responsibility Report. The Moody’s Foundation supported the development and roll out of the toolkit to our network. The feature, featured below, can be found on page 17 of the report.